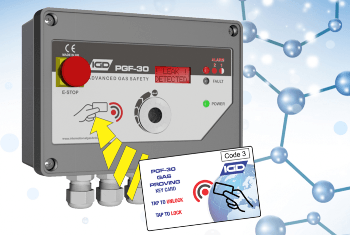 The PGF-30 offered by International Gas Detectors is a next generation gas interlock and detection system that also functions for ventilation interlock purposes. As an ideal tool for various gas interlock requirements, the PGF-30 is a cost-effective solution that can have as many as 24 detectors on a single addressable cable. Unlike many other gas interlock panels currently available on the market today, the PGF-30 does not require a key switch or keypad to unlock or lock the gas proving function. Instead of requiring these types of functionality components, the PGF-30 instead relies on modern technology in the form of RFID (contactless) cards. RFID Access: No keys or codes to remember, issue swipe cards to your authorized staff, giving you effective access control. Utilizing different cards for different access levels. The PGF-30 is a modular solution that can be used to improve the safety conditions in both commercial kitchens and/or laboratory procedures that require gases. This is attributed to the specific design of this device that meets the requirements of the latest IGEM gas safety standards, especially when flame failure devices are not present. 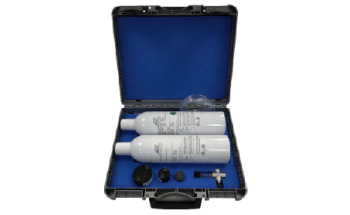 The PGF-30 gas interlock system is also an ideal tool that can be used for any gas pressure range in school laboratories, Universities and research laboratories. By determining the integrity of the gas pipeline pressure prior to the start of each day, the PGF-30 functions through the use of several pressure transducers that allow this device to measure direct pressure rather than weep bypass modes. 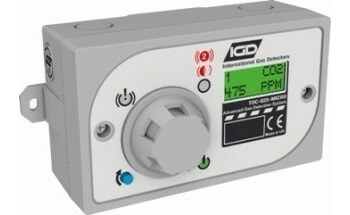 Demonstrate Competency: The gas interlock panel can only be serviced when the MASTER card, which is only given to IGD-trained engineers, is being used. 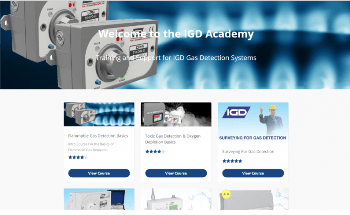 With gas detection present on the same panel, a complete safety system is provided to the user without requiring any additional monetary investments into multiple control panels. Range of Service Software: This software allows the engineer to accurately calibrate and confirm all calibration work on the apps/programs, thereby limiting the amount of potential calibration errors to ensure a safer work zone for the client. Increased Safety/security: Self-checking software automatically checks both the sensors and cable highway for any errors. Any problems are immediately reported to the user. Direct sensor connectivity eliminates the need for any analog signals. Enhanced safety: Through controller integration. No need to interface to different units which would increase the possibility of errors. All communication is on a digital network, thereby eliminating the use of any dated analog signals. 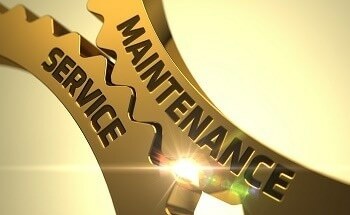 All addressable sensors have far fewer false alarms than traditional analog systems would have. How does the PGF-30 Gas Interlock Panel Work? The gas interlock panel proves the integrity of the downstream kitchen/lab gas supply by introducing a small amount of gas and then monitoring the pressure to ensure that the system is fully leak tight. When the gas interlock panel establishes the secure state of the system, the main supply is switched on. If the pressure falls below the pre-set levels, the system will alert the user to manually check for any leaks or unusual gas usage. Gas Alarms – Flow Failure – E-Stop Activation? Any of these ancillary inputs will alarm on the controller and shut off the gas supply.